This customizable private walking tour in english of the Amsterdam Jordaan Area will show many of its highlights from a local perspective. Besides being one of the city's hotspots today, the district also has a long history as a working class area. Our tour will let you experience both worlds of the Jordaan! Your morning or afternoon in this area will start at the statue of Anne Frank at the foot of the West Church (westerkerk). Set off in a relaxing pace to make sure you really get to see, feel and learn all about this district. 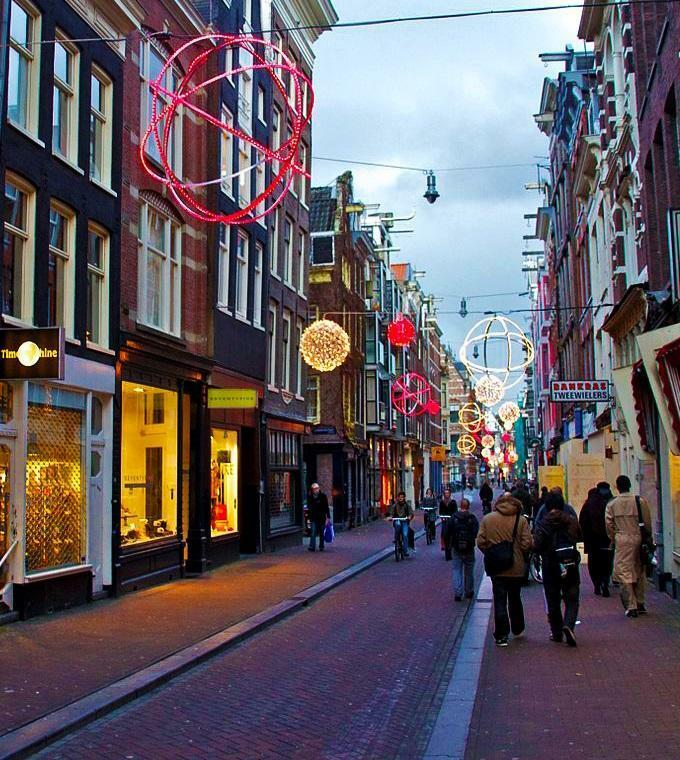 The Jordaan district of Amsterdam is definitely known as one of the real hotspots of Amsterdam. The origins of the area can be traced back to the 17th century where it is believed to have been erected for the city's labourers and immigrants. Many of these immigrants originated from France or near, then being the agricultural part of town, was subsequently named Jardin which is French for garden. This word eventually changed into Jordaan, the name of the district today. As a working class neighbourhood this area ceased to exist in the 1980s. Due to urban renewal the rent price rose and many of the original inhabitants moved to satelite towns such as Purmerend and Almere. After their departure the area became the trendy place to be, attracting students, artists and young entrepeneurs. During the walk your guide will enlighten you with many stories and anecdotes about these contrasting periods in the Jordaan. We will also visit a typical Dutch "Hofje" (innercourt or patio garden) and show you the famous Westchurch and many small streets and idyllic canals. On Mondays and Saturdays we will also visit a vibrant local market. In addition to all the sights, your personal Jordaan guide will reveal the district’s unique character, teach you local history and culture, and give you insider’s tips about great local restaurants, shops, attractions, activities, public transport and more. Departure Time: The tour run daily at 9:30 and 14:00. Departure Location: Guests will be picked up from hotel if it is situated close to the Jordaan district, otherwise they will be informed after the booking.